Apologies for the late post this week folks. To make it up to you, this week we'll be looking at a highly unusual grape from a highly unusual region: Koshu. We reported last week that the Japan Times ran an article about a new wine (not sake) being produced in Japan from Koshu, a grape grown on the foothills of Mount Fuji. Once used to make unappealingly sweet wines, modern-day Koshu wines have a nice level of acidity, a pleasant fruity bouquet with a hint of smokiness, and a touch of astringency that makes them perfect for pairing with sushi, sashimi, and other Japanese cuisine. Perhaps most alluring, however, is the colour of the grapes: a beautiful light-pink hue, unlike anything seen elsewhere in the wine-making world. 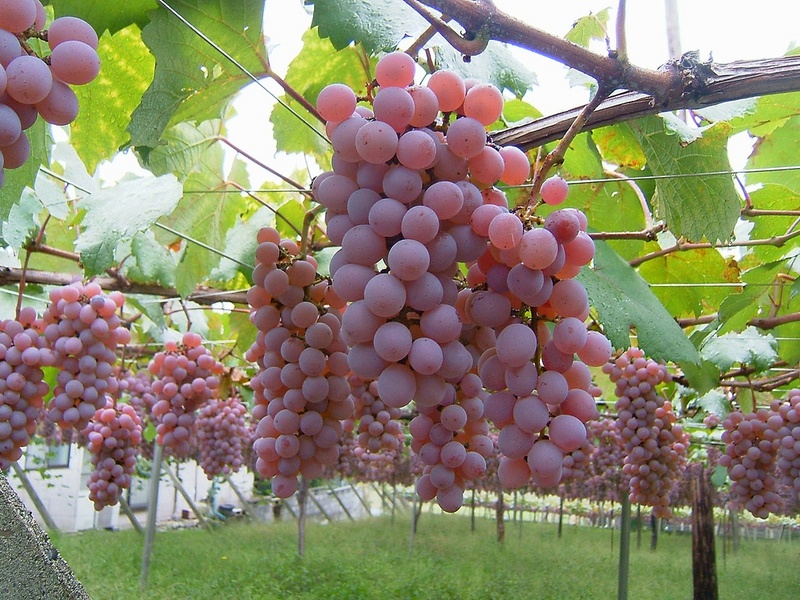 Koshu is well-suited to Japan's wet climate. When other grapevines begin to rot due to continued rain and high humidity, Koshu's thick skin allows it to remain healthy. It ripens late and harvests are typically in late October or early November (compared to August or September in most European vineyards). Despite this, it typically has a low alcohol content and is meant to be consumed young, much like vinho verde. Some wineries are experimenting with oak aging to add body and fullness to the wine, although most Koshu wine is stored only in stainless steel tanks prior to bottling. Koshu received a slight boost in popularity when Robert Parker tasted the wine in Japan in 2004, giving it a 88/100 rating. However, it remains a largely unknown grape to most wine producers and drinkers. So if you're looking for a gift for a wine lover who has seemingly tried it all, perhaps it's time to seek out a bottle of Koshu! Flavour Profile: Light, fruity, clean, with a touch of smokiness/astringency.